Our LuxusLashes are applied with a specially developed adhesive individually onto your natural eyelashes and look absolutely natural. Most of our products are developed and generated in the European region. The high-class standard is therefore guaranteed. 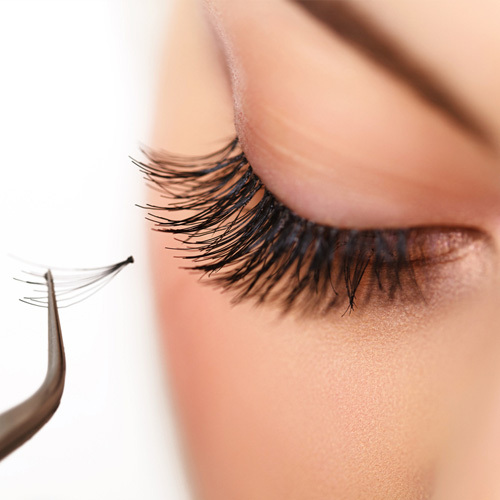 The eyelash lengthening is not painful and takes between 1 and 2 hours, depending on how many eyelashes are applied. You lie calmly, with closed eyes on a cosmetic recliner. More volume than full set of mink lashes. Several ultra- lightweight lashes are applied to each individual lash. * Refills up to 4 weeks.